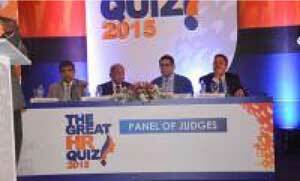 There was an impressive show of young talent at the HR Quiz 2015 which was held recently. With the involvement of 50 teams representing leading corporates, a passionate battle between several bright minds took place. I remember the first HR Quiz in Sri Lanka held last year organised by the Institute of Personnel Management (IPM Sri Lanka). This time too, as the head of the panel of judges, my task was quite comprehensive. Today’s column is a reflection of the HR Quiz 2015 in the broader context of Human Resource Management (HRM) in Sri Lanka. There is a growing awareness and enthusiasm for people management in Sri Lankan organisations. This is evident from the increasing number of activities related to Human Resource Management (HRM) taking place on many fronts in the island. Yet, we have a long way to go to unleash the true potential of our productive workforce, in the wake of the post-war economic expansion and development drive. One key element in such an endeavour is to have clarity about what HRM is really all about. The HR Quiz has come to the forefront, enriching us with regard to this particular aspect. We can see hundreds of different ways of describing HRM. Some are overly simplistic while others are highly scholastic. What could be the best way to approach HRM in defining it related to local needs? A think tank from the Institute of Personnel Management (IPM) took the initiative of developing a suitable definition of HRM for Sri Lanka. This move is very significant as IPM, being the pioneering and premier HR institute in Sri Lanka, heads towards Charter status. Our approach was specific and straightforward. We looked at what was available in terms of HRM definitions, identified salient points in those, listed them and brainstormed their relevance to Sri Lanka. That was one aspect. On the other hand, we also brainstormed how to accommodate the socio-cultural and religio-political dimensions influencing management practices in Sri Lanka. Our aim was to find the best fit. What we meant by strategic is working towards achieving overall goals and specific objectives of the organisation. It is essentially aligning with the broad organisational priorities. It highlights the strategic significance of HRM and the holistic role it should play. The multiplication sign in the above equation symbolises the collaborator and the combined nature of the three vital aspects. Competence essentially refers to the knowledge (head), commitment refers to action (hands) and contribution is related to values (heart). What we do with talent occupies a significant segment of our definition. Acquisition refers to hiring (recruitment, selection and placement). Engagement means a range of aspects such as involvement, attachment and extra effort. There is a reference to the term, relevant tools in our definition. What we meant was to incorporate testing methods, assessment techniques, etc. which should be linked to the organisational requirements. We consciously included the term ‘Conducive Climate’ in our HRM definition. This means a supportive environment within an organisation. HR has a critical role to play in creating such a climate. Climate refers to those aspects of the environment that are consciously perceived by organisational members. Perception is essentially an understanding based on the information obtained by senses such as eyes and ears. Hence, climate is something people see, hear and feel. That is why we see a difference when we enter a hospital, police station or a restaurant. In summary, climate is what we see and feel when we enter an organisation, whereas culture is something much deeper, functioning as bedrock. The end result of all HR endeavours, the way we see, is having twin aspects, Organisational Excellence and Societal Wellbeing. What we mean by organisational excellence is its overall performance with continuous improvement. It, obviously, includes financial results, customer satisfaction, process efficiency and people development, the four perspectives of a typical balanced scorecard. HR professionals cannot function in isolation ignoring social realities. This is more relevant for a developing country like ours, where issues such as poverty, unemployment and ethnic tension cannot be ignored. That’s why we included Societal Wellbeing as a key outcome of HRM. It highlights the need to support people outside the organisation and protect the environment as well. Defining HRM clearly was one step towards delivering sustained results. Now we need to put the acts together, in ensuring awareness, appreciation and application among Sri Lankan HR professionals. In bringing HRM to the frontline, initiatives such as the HR Quiz play a crucial role. The necessity of finance for an organisation is more easily understood than the need to have the right person in the right place. HRM is slowly coming from the tap to the top. The fact that there is more emphasis on people matters in the boardrooms through subcommittees is an encouraging sign. The key feature of the HR Quiz was the enthusiasm and engagement of the young employees representing their institutions. They were not necessarily from the department of HRM. The spirit of actions and the synergy of interactions were indeed significant. It was a battle of the mind with regard to people management. The use of technology has been a remarkable feature of the HR Quiz. The responses of each team were relayed within seconds, summarised and the results were displayed on the wide screen in an efficient manner. There were a wide range of questions from various aspects of HRM. There were also questions on current affairs and sports. Some questions were easy and others were tough. There were questions based on brief video clippings as well. All in all, it was an enriching endeavour. The spirited cheer whenever a team got the right answer was very evident. As the quiz progressed from round one to two and so on until the final round, the energy level among the participants was on the rise, something which was demonstrated through their applause. Questions for the audience also added variety to the HR Quiz. We are witnessing a growing awareness amidst the corporate fraternity about the aspects of HRM. This welcome sign should be well nurtured to ensure the rich harvest of human potential. People are being increasingly recognised as a factor which gives a competitive advantage. As it has always been the case, the private sector, with much influence from multinational corporations, has spearheaded HR best practices. The public sector is sadly lagging behind with an overly emphasised domain of administration, neglecting the learning and development aspects. It appears as an interesting case where the engine of growth (private sector) has better people practices than the so-called driver of the engine (public sector). People development cannot take the back seat if we are to grow as a nation. Sound practices of strategic HRM will be one sure way forward in ensuring the balance between organisational goal attainment and employee development. The HR Quiz 2015 with 50 teams created motivating momentum for the people managers to engage in an intellectually stimulating and interactional experience. The positive vibrations surrounding the precious value of HRM which resonated at the HR Quiz 2015 were encouraging to the decision-makers. The need to be more professional in making people management decisions across a wide cross-section of society has already been felt. In essence, HRM should be practiced in both the private and public sectors for better results.